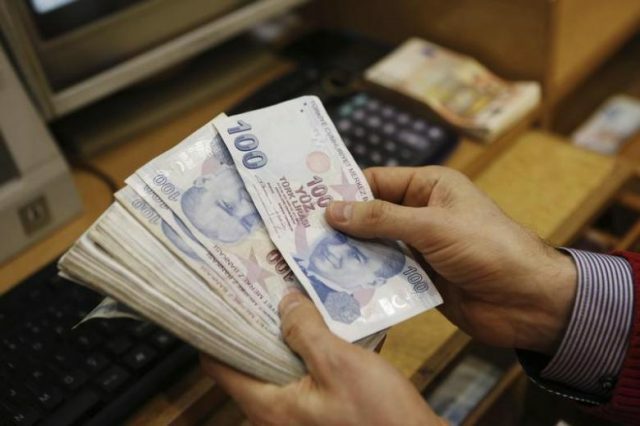 The Turkish lira weakened on Tuesday as investors weighed up Turkey’s efforts to manage its rift with the United States after Finance Minister Berat Albayrak warned that US trade sanctions against Ankara could destabilise the Middle East. The row with Washington over an American evangelical Christian pastor detained in Turkey on terrorism charges has accelerated losses in the lira, which is down about 38 percent against the dollar this year. At 0509 GMT, the lira stood at 6.2000 against the dollar, easing from a close of 6.1200 on Monday, when it weakened to near 6.3 before rebounding in its first day of trade after a week-long holiday. After meeting his French counterpart in Paris, Albayrak highlighted Ankara’s push for better ties with Europe and took aim at the United States, saying US sanctions could ultimately aggravate the region’s terrorism and refugee crises. US President Donald Trump this month authorized a doubling of duties on aluminium and steel imported from Turkey, triggering retaliatory measures from Ankara. Investors are also worried by a US Treasury investigation into state-owned Turkish lender Halkbank, which could face a potentially hefty fine over allegations of busting sanctions on Iran. The bank has said all its transactions were legal. Turkey and the United States are also at odds over their diverging interests in Syria and US objections to Ankara’s plan to buy Russian defence systems.